Showcasing Acts of Extraordinary Kindness and Selflessness! Hello, my fellow happy planners! There's a couple of things Iâ€™d love to share you about my journey. Over the years Iâ€™ve had the great privilege to embrace and empower young ladies through PLANNING and CREATIVITY. I believe I have been entrusted with this roll to share my story with these young ladies, and now with you today. It's all for His Glory. My mess has become a message to these young ladies and has given us a chance to walk through life together. As a result, we have been able to conquer BIG wins! For the last six years, Iâ€™ve worked for a non-profit called New Life Centers under the (G.E.M.S) Girls Mentoring program. One of my main roles is to mentor young ladies that have goals, passions, visions, and dreams, and to break the stereotype mold of Latinas in the urban neighborhood of Little Village ~ located in the South Westside of Chicago. It's been an honor for me to step into these ladies lives ~ to EMPOWER, ENCOURAGE and EDUCATE these young women with a handful of life skills to help guide them in their life journey. These women are extraordinary, and unfortunately, their backgrounds donâ€™t always represent this or what they are set to do in life! These extraordinary young women have had to face some challenging circumstances at a young age, and as a result, they experience trauma daily. We believe that when we walk and do life with them ~ together ~ they can overcome and create DAILY victories of success. The Happy PlannerÂ® has been a part of my life for quite some time now. Having a family of six and a full-time job, I was always looking for better ways to stay organized. The Happy PlannerÂ® has not only helped me to do all those things but has also ENCOURAGED, FILLED and INSPIRED me. Thanks to The Happy PlannerÂ® I found exactly what I was looking for. The Happy PlannerÂ® has helped me find the time to bless others through words of encouragement, creatively and inspiration. The Happy PlannerÂ® has helped me be the best mentor to young ladies in the urban community of Little Village, which requires many tasks. I use The Happy PlannerÂ® daily. I have been able to share The Happy PlannerÂ® with these young ladies, and it's helped them tremendously, myself included, to stay on track with school, work and even our personal lives. Most of these young ladies have fallen in love with the encouraging and uplifting stickers and dividers and different Happy PlannerÂ® options. This system has given them FAITH and HOPE, motivating them to have a more positive outlook on life. The Happy PlannerÂ® has encouraged these young ladies to embrace education and utilize this FUN tool they now LOVE. Mya (age 13) mentioned that she strongly dislikes her â€œboring school planner.â€� When she received her first MINI Happy PlannerÂ® she grew excited and couldnâ€™t wait to write down her assignments, check things off on her TO-DO list and PLAN for her week. One of her goals is to graduate the 8th grade ~ Myaâ€™s grades have been improving! Inspired to live a Happy life! This is one of my mentees, Stephanie (age 17)! The Happy PlannerÂ® has helped Stephanie to persevere and keep the faith. Stephanie loves the stickers because not only are they fun but they give her HOPE! They have reminded her that life will be different, that no matter how tough a battle can become she will somehow be able to overcome it and will see more good days. We believe in you, Stephanie! I have brought some of my DISCS to use as talking pieces in our weekly Peace Circle. This is where the girls come up with their own values to bring into our space. We talk about topics that they may be struggling with. 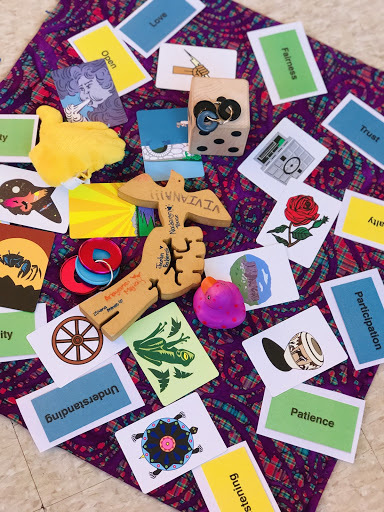 The pieces in the Peace Circle are used to help teach the girls how to listen, to be still, to put the focus on whoever is sharing, to boost participation, healthy conversations and give the girls an opportunity to uplight the ones who were brave enough to share. The Happy PlannerÂ® has been such a POSITIVE tool that weâ€™ve decided to incorporate The Happy PlannerÂ® into our daily girls programming at G.E.M.S. ~ either by using the stickers to inspire and encourage others or to decorate the artwork that we are working on. One of the main ways that the G.E.M.S. program at New Life Centers has used The Happy PlannerÂ® is to create a yearbook and fill it with all the neat and fun activities that we are doing daily! When you hear â€œChicagoâ€� or even search the word on the internet, one of the first things you see or hear it defined as is, violent, you often hear of the violence that happened and continues to occur in the city. Rather than dwelling on what is wrong in Chicago, we hope to help redirect our focus on all the GREATNESS in Chicago. 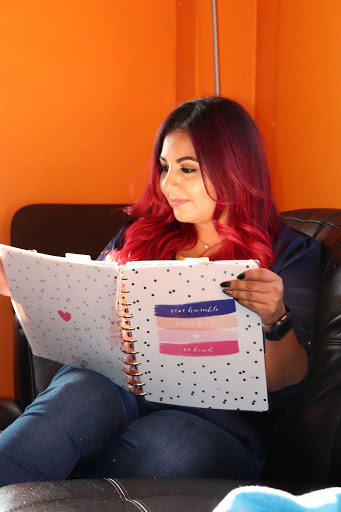 I am so happy that the girls have embraced The Happy PlannerÂ® and all that it stands for. 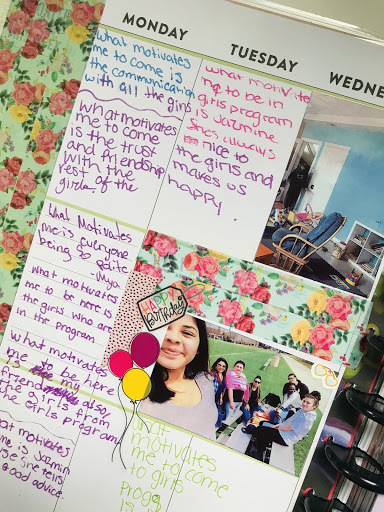 Using The Happy PlannerÂ® products has given these girls great hope, and the opportunity to have FUN and Live CreativelyÂ® with all of the ENCOURAGING stickers. Theyâ€™ve been given a chance to make something their own! Currently, the girls have been encouraged to use their Happy Planners to jot down ALL the GOOD THINGS that are happening in their lives DAILY, to take note of all the GOOD THINGS that occur in our city of Chicago. Chicago is more than just a city of â€œviolence,â€� itâ€™s a city with many WONDERFUL people. This city is full of extraordinary young women who are setting BIG GOALS for themselves but sadly faced with many obstacles. This fact is what motivates me to encourage these young ladies to use The Happy PlannerÂ®. Many of the young women have asked for their own step-by-step PLAN to help make their dreams and goals into a reality. These women deeply desire to break the mold, the stereotypes, and to defeat the unfortunate obstacles that have been set in their path. We hope you enjoyed reading about our latest Happy HERO, Jazmin Torres! Feel free to leave Jazmin a comment below!